CALIFORNIA PIZZA KITCHEN is at it again. This time around for its 3rd year, they are having the PIZZA WARS. 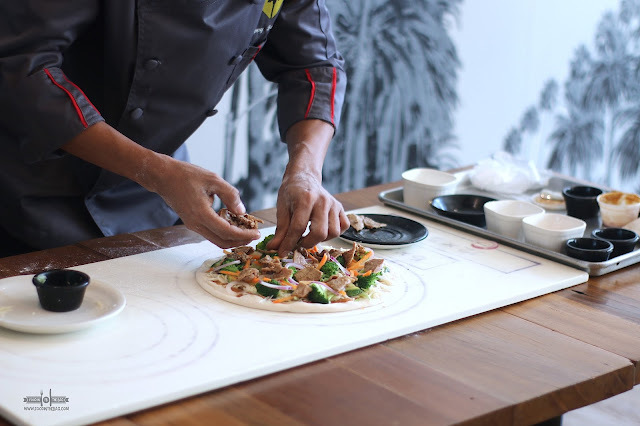 A culminating event happened just recently in CPK'S SHANGRI-LA branch that showcased the 3 finalists for the PIZZA WARS. The atmosphere was both intense and festive. Each of the participants prepared their pizza creations infront of the crowd and the judges. With each masterful stroke, the finalists presented their winning recipe. 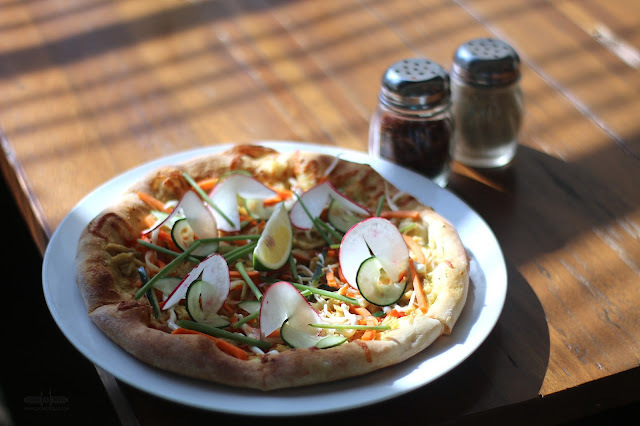 The 3rd place went to the CHICKEN BANH MI PIZZA of Jay Mar dela Paz of CPK Promenade Greenhills. 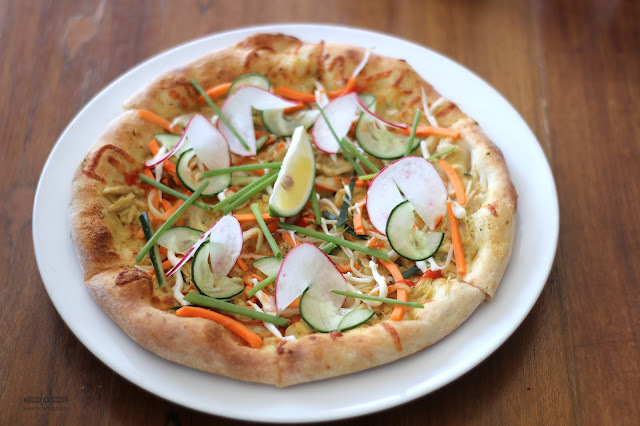 Very colorful, this pizza has a curry base with chicken and other vegetable toppings that is similar to a banh mi. 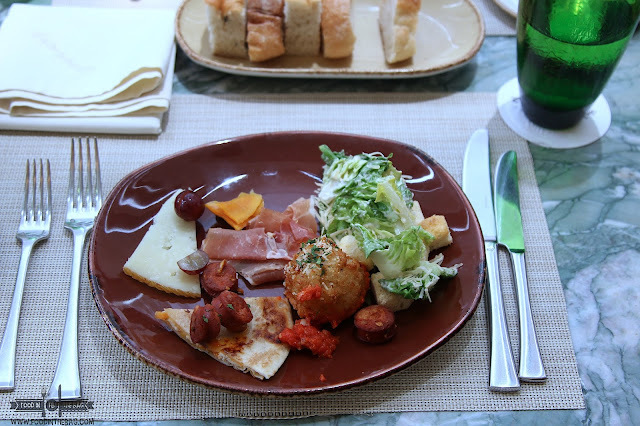 With only a 0.25 point difference, the 2nd place went to Danny Fernandez of CPK Greenbelt 5. 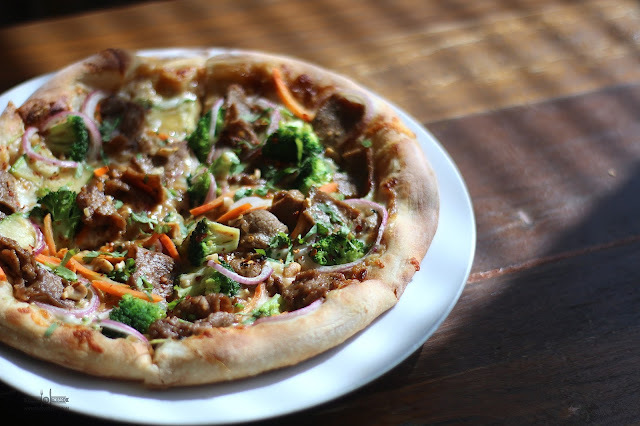 The THAI BEEF PIZZA creation was a bit spicy but the meat was tender and the greens gave each bite a crunch. The winner is for this year's PIZZA WAR would be Rommel Panaligan of CPK ALABANG TOWN CENTER. He won with his Garlic Cream Cheese Pizza. 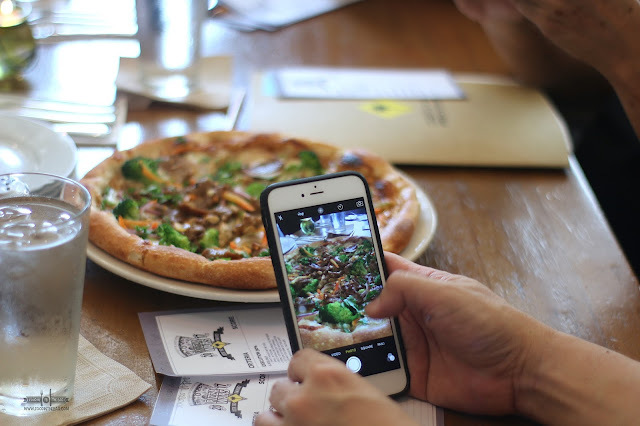 The winner of the 2015 edition, Rommel is no stranger to creating delicious pizza for CALIFORNIA PIZZA KITCHEN'S GUESTS. 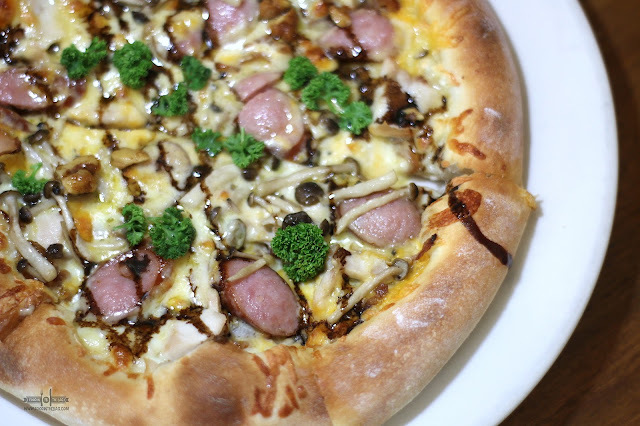 This time around this garlic cream is created with 3 different types of cheeses and some sausages to have a white cream base pizza. Kids and kids at heart would enjoy this creamy creation. 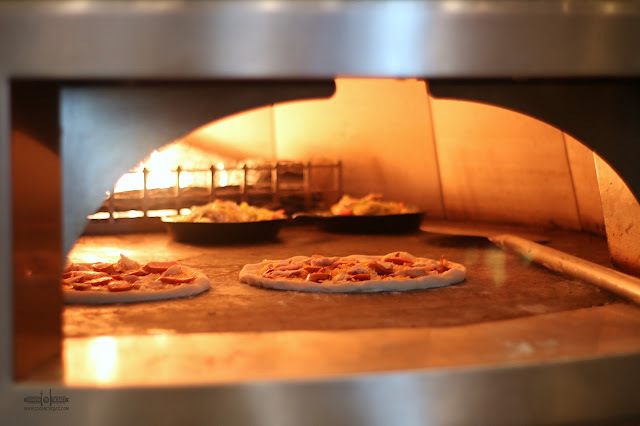 Guests of CALIFORNIA PIZZA KITCHEN would be able to try out these pizza come August. Again, congratulations to the participants of the CALIFORNIA PIZZA WARS YEAR 3.